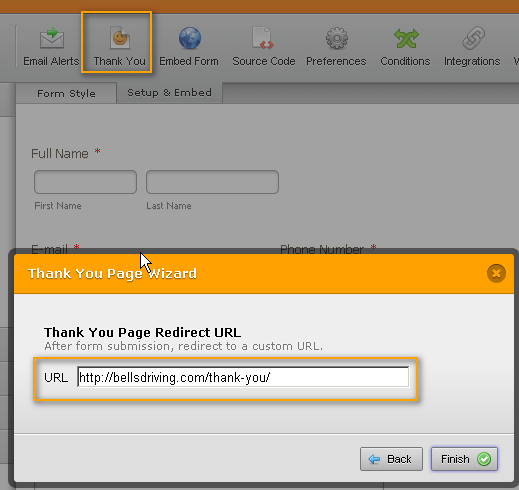 The problem is that you have set 2 kinds of redirects that concerns the Thank You message. 1. Is from the Thank You Wizard. This works fine on its own. 2. 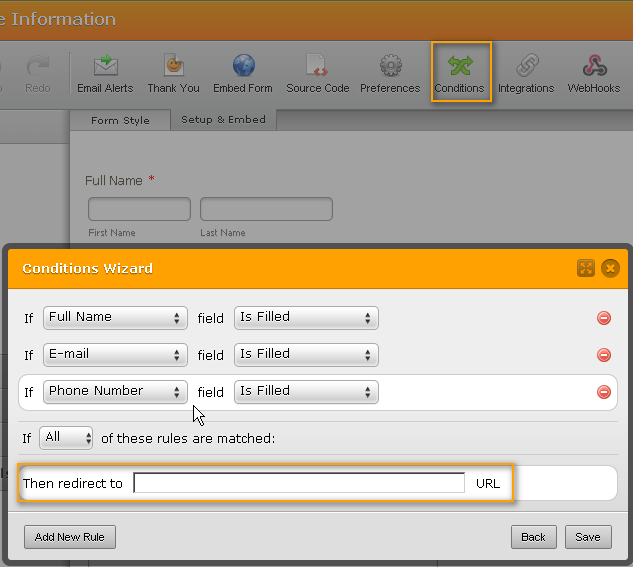 In the Conditions Wizard, you have set a redirect after submission. As you can see here it is set to blank. It does not redirect at all.